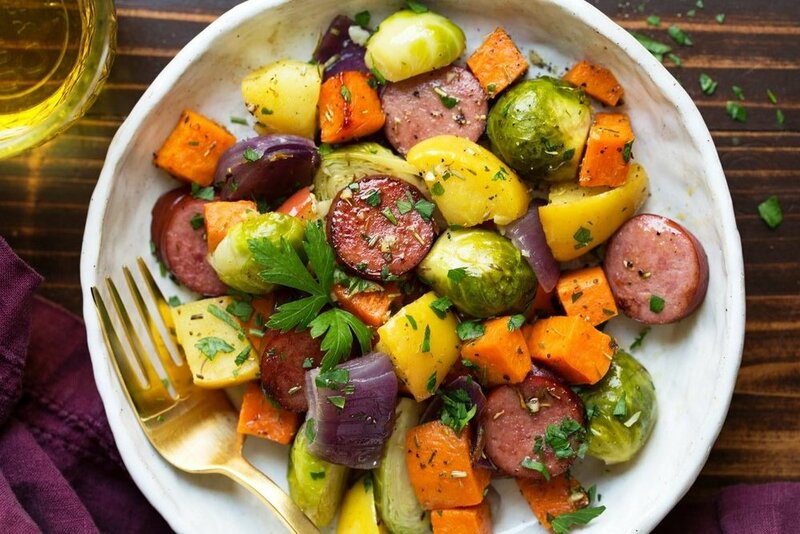 Add sausage, sweet potatoes, Brussels sprouts, apples, onion and garlic to sheet pan. Drizzle everything with olive oil, sprinkle with thyme, sage and rosemary then season with salt and pepper to taste and toss to coat. Roast in preheated oven 15 minutes then remove and toss. Return to oven and continue to roast until veggies and apples are tender, about 15 minutes longer.